Providing expert bookkeeping services and financial guidance across Kent, London, and the UK, AMR Bookkeeping assists businesses of all sizes with their ongoing business bookkeeping. With the help of our efficient bookkeeping department, we can help you deal with high volumes of financial processing quickly and effectively. Our team can report on a weekly, monthly, quarterly, or annual basis to keep you updated on the current status of your financial accounts. Our expertly led team combines highly-skilled bookkeepers and certified accountants who can ensure your financial processing is given to your accountant in excellent order. AMR Bookkeeping has three offices throughout Kent. Our team welcome local clients to their nearest branch for a no-obligation free consultation to discuss your businesses bookkeeping requirements. We also work remotely with businesses throughout the UK and can provide in-house bookkeeping support to clients who prefer regular interaction with their bookkeeper. Our team is experienced in all types of accounting software – including Sage, Xero, QuickBooks and Free Agent - and are happy to maintain your accounting records on-site if this is more convenient. From a brand-new startup to large international organisations, bookkeeping is a necessity for all businesses. 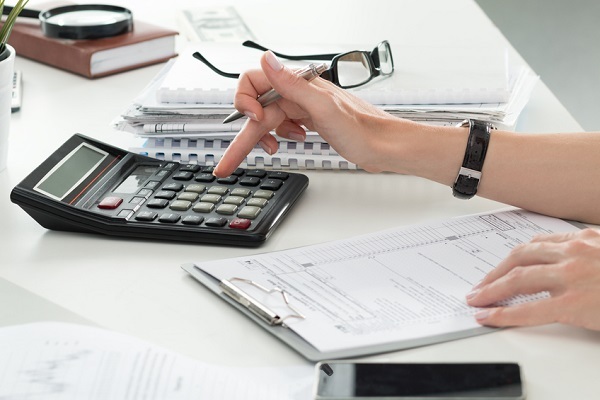 For many businesses, a bookkeeper gives them the opportunity to grow their business with the confidence that the financial status of the company is being monitored and reported on by professionals. Payroll services available weekly, fortnightly, and monthly. Debt management to chase overdue clients and establish a proactive process to manage overdue invoices. Budgeting advice from expert bookkeepers that can advise you on the best way to grow your business. Keep track of company expenses, receipts, and individual employee expense payments. Working alongside our accountant-led bookkeeping staff you will be able to concentrate on running your business without worrying about whether your books are being kept up-to-date and are compliant with HMRC legislations. Our team also do everything we can to keep your books in the best possible order, so when we pass over your books to your accountant they have less to do before submitting your yearly accounts. Your dedicated bookkeeper can tailor our services to meet the requirements of your business. The AMR Bookkeeping team offer complete flexibility to work alongside you. There are no legal requirements for an accountant or bookkeeper to file any of your financial documents. Our services are provided to assist you in guiding your company through the complex tax and financial legislations required by HMRC so that you can prevent costly fines caused by unnoticed errors. Here at AMR Bookkeeping, we work alongside a variety of businesses from different industries. Building and construction industry bookkeeping – Our team assist a variety of building firms and new build companies with their ongoing bookkeeping commitments. We successfully help construction businesses comply with the CIS (Construction Industry Scheme) regulations and ensure their accounts meet the complex requirements of the scheme. Restaurants and Pub Bookkeepers – AMR work alongside clients operating restaurants and pubs to provide administrative support with our range of bookkeeping services. Small Business Bookkeeping – We work alongside a variety of independent businesses throughout the UK to provide bookkeeping support and help independent businesses deal with the financial obligations of running a business. We provide bookkeeping services to business in the architecture, consultancy, estate/property management, events, and IT industries. The AMR Bookkeeping team have been successfully helping both businesses and self-employed individuals with their bookkeeping since 2005. Our full-service approach to client bookkeeping keeps your books fully compliant with HMRC and can be fully tailored to meet the current and future requirements of your business. For a free, no-obligation chat to discuss our services, please contact a member of our team.